If you're a seasoned fly angler looking to refine your double haul, we are here to help. Or if your just getting started in fly fishing. We are here to get you casting quickly, and confident to take that first trip. Casting clinics are offered throughout the day so get a hold of our office for more information. 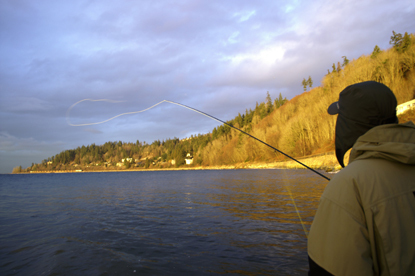 Longer, more controlled casts help take advantage of all that Puget Sound has to offer. 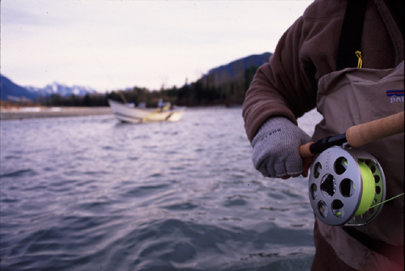 When preparing for a fishing trip, let one of us take you through all the casts necessary to be the most effective. These classes are built to exceed your expectations, and we can cater to any group size and location around western Washington State. Take your casting to the next level by working on techniques that will help you take advantage of your favorite fishery. If you need help casting in the wind, better presentation and accuracy, this is the class. Let our casting instructors teach you the most effective cast for each application. RODS: 4-6 weight rods provided. The rivers of Western Washington [Skykomish, Skagit, Sauk, Stillaguamish, Nooksack, Green] are steeped in history and have been fished by the pioneers of northwest fly fishing. 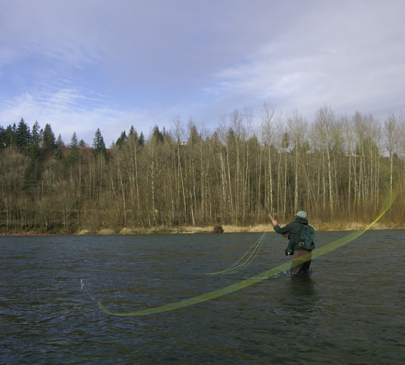 Covering these large Western rivers requires a technique that allows for maximum distance and line control of the swung fly. The River Spey is located in northeastern Scotland and is known for its width and fast flowing runs, ideal for Atlantic Salmon. The Spey rod was developed so anglers could cast without the use of a back cast. 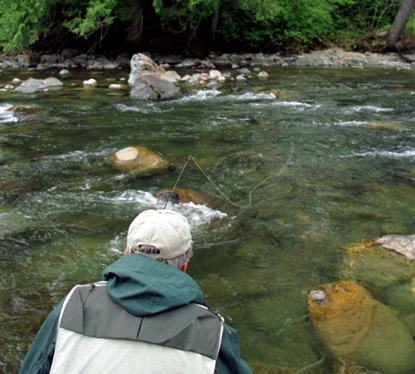 Minimal wade fishing is available on these rivers as well. Around the northwest, we have been adapting these techniques to our local rivers. New Spey fly lines have been developed to throw a variety of flies and sink tips. Our instructors can help you learn the basics, but also provide you with the skills needed to add distance to your existing casts. While working on your casts, it is a good idea to study steelhead behavior. Our guides will discuss behavior, hooking and playing a fish, proper handling and release of our native steelhead and salmon. There are a lot of casts between fish, and the more prepared will always be more effective. Get a hold of us to book a casting session. Thanks!